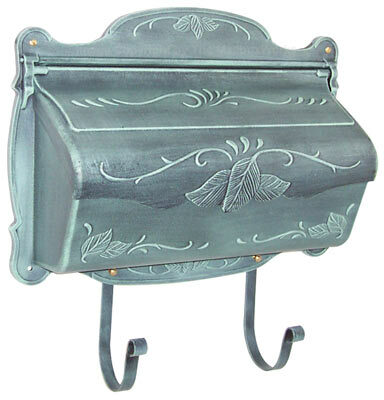 Large capacity Gaines Maple Leaf Wall Mount Mailboxes provide classic good looks with superb functionality. 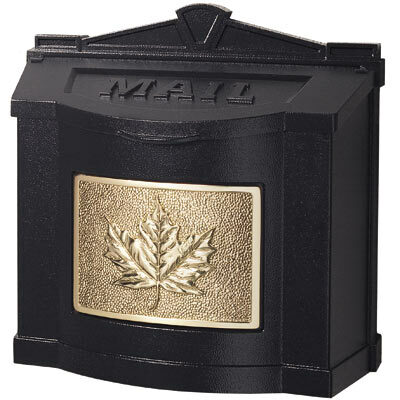 Decorative maple leaf motif insert comes in your choice of Antique Brass, Polished Brass or Satin Nickel. 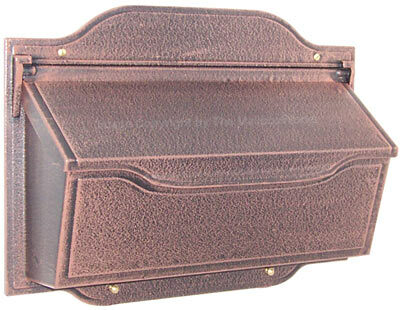 Spacious enough for magazines and small packages, top access door can be left in open position for extra large items. 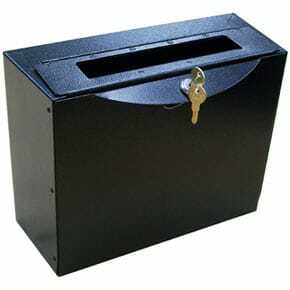 Easy to open and close door is padded for quiet operation. 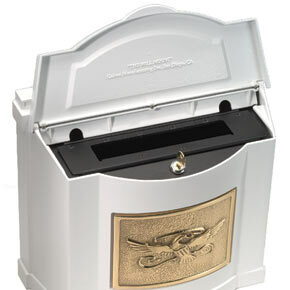 Optional lockable insert with reinforced hinges lets you leave for vacation without worry. 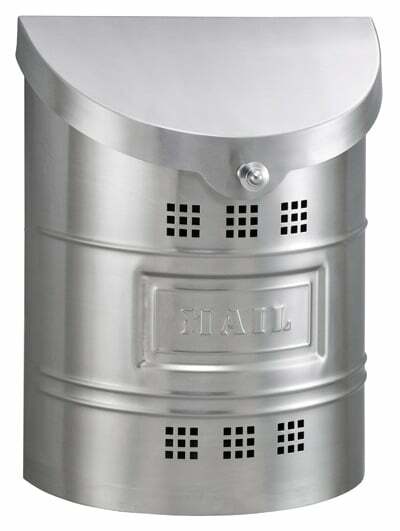 Easy installation of this wall mount mailbox requires only 2 screws and a handy template is provided for precision mounting. 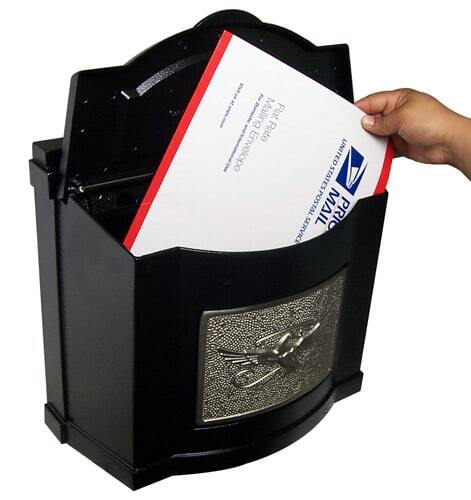 Wall mount mailboxes are available in an attractive white, bronze or black matte finish. 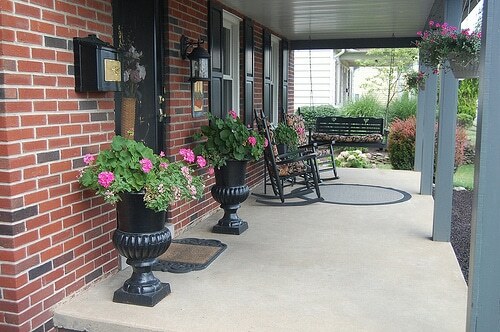 Advanced five-step powder coating paint process keeps them looking great for years to come. 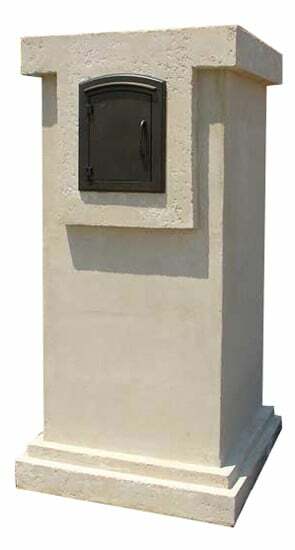 Complete the look of your home’s exterior by pairing your Gaines Wall Mount Mailboxes with a corresponding Gaines House Mark Address Plaque.